We are delighted to introduce a selection of apartments and villas in the stunning secluded gated development, located on the slopes of the mountains. Whatever property you would have chosen; each will offer you a truly unique sea and the mountains view. If you are the lover the unspoiled nature, a fresh air, fresh mountain breath and silence - we recommend you to call us and organise the viewing of these properties in Bellapais. A well-maintained development has a communal pool area with the shower and the changing rooms, stone roads and pavements. A distinctive feature of this development - only natural, environmentally friendly materials were used in construction and decoration. 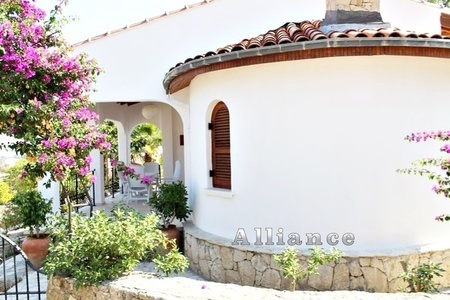 Natural wood (windows, doors, ceilings), natural stone (walls, pavements) and all traditional design of each properties and the development generally perfectly fit into the environment of Bellapais area. Apartment with its own garden and the spacious terrace. 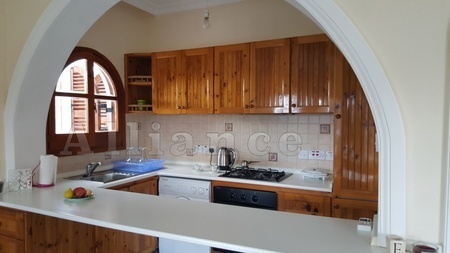 The apartment has a private terrace and the garden, two bedrooms, an open plan living room and the kitchen, bathroom. You can choose the apartments on the ground, first and the second floor, all of them have large terraces with stunning sea and mountains views. Price - from 110 000 GBP. 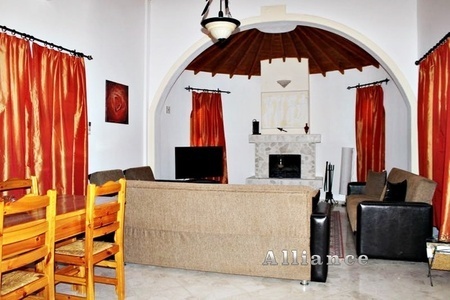 Bungalow with two bedrooms will offer you a truly Mediterranean comfort and Cypriot traditional design. 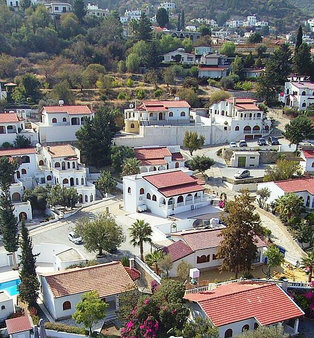 Arches, wooden shutters and windows, wooden ceilings, stone finishes - those and other eco-friendly materials used in construction and decoration will remind Cyprus history and culture. Bungalow has two bedrooms, a spacious living room, kitchen, bathroom, covered terrace, large private garden. 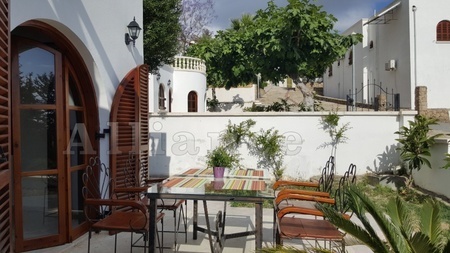 We are pleased to offer you a large variety of apartments, bungalows and villas!